It’s become sort of unfashionable to like a city like Singapore, which travellers (and Asian residents like myself) sneer at for having too many characterless restaurants and too few cultural institutions and, well, cynics. That’s all changed. 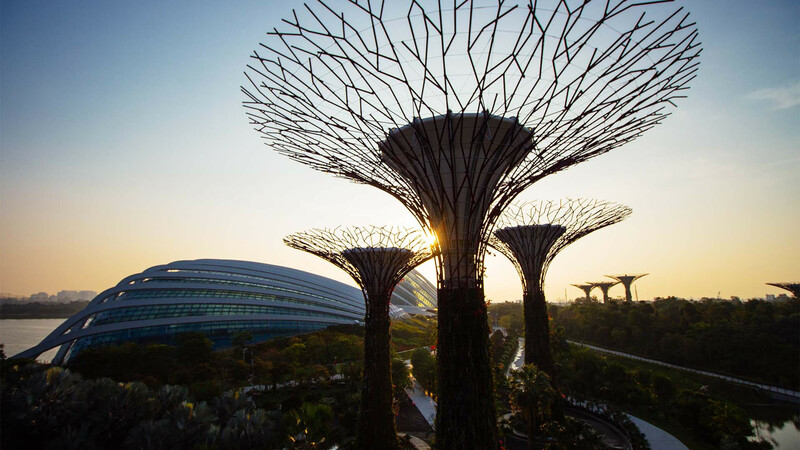 Jet-fuelled Singapore is now a proper destination in its own right, rather than a 36-hour stopover en route to somewhere better. 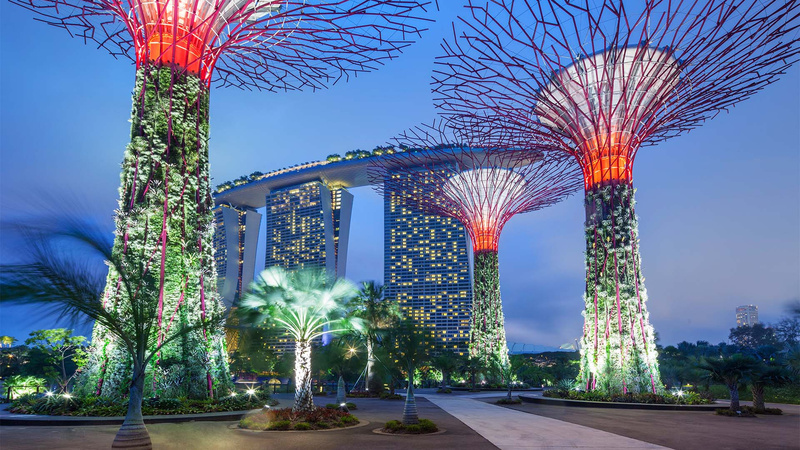 The futuristic Gardens by the Bay are what happens when a city has a lack of green space, a great idea and a wad of cash to make it happen. 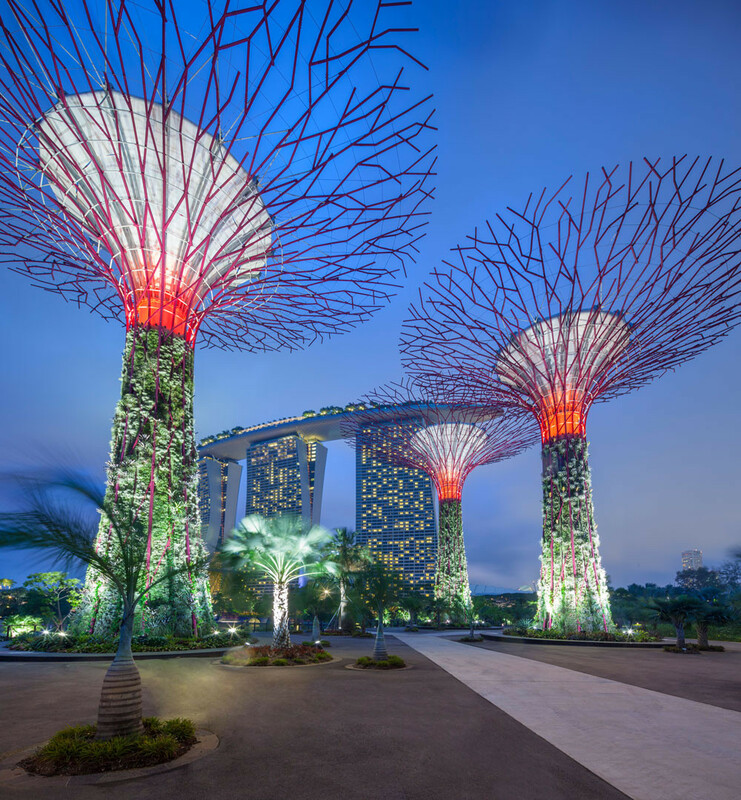 Like something out of James Cameron’s epic Avatar, the nature park is a collection of innovative tall green ‘trees’ that fan out like palms, conservatories and gardens set on reclaimed land over a space of 101 hectares behind Marina Bay Sands. Tip: from underneath, the trees make a great Instagram shot. For a lick of proper Singapore, the central district of Tiong Bahru is hard to beat. The art deco hawker centre, a washed yellow circular building housing two floors of chaotic street food stalls, is one of the only places in this expensive city where you can buy lunch for under a fiver. Outside, the squat, curved tenements house trendy bars including Tiong Bahru Club, which is half local youth club, half Parisian café. 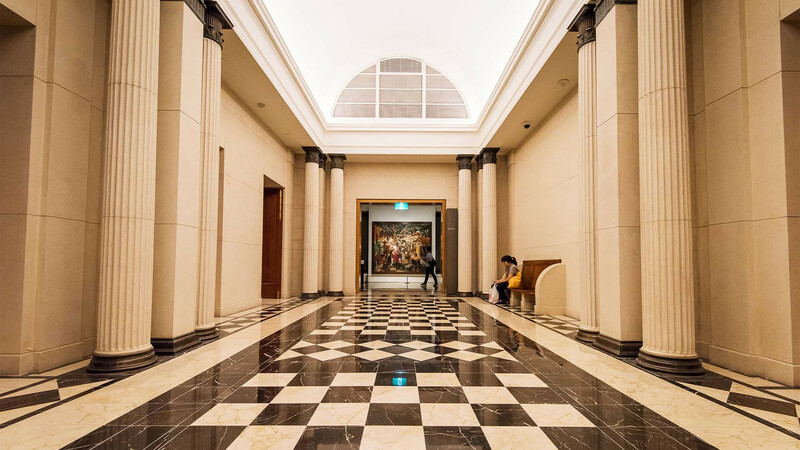 The late 2015 opening of the National Gallery gave Singapore a huge arty shot in the arm, making it one of the world’s foremost arts destinations. 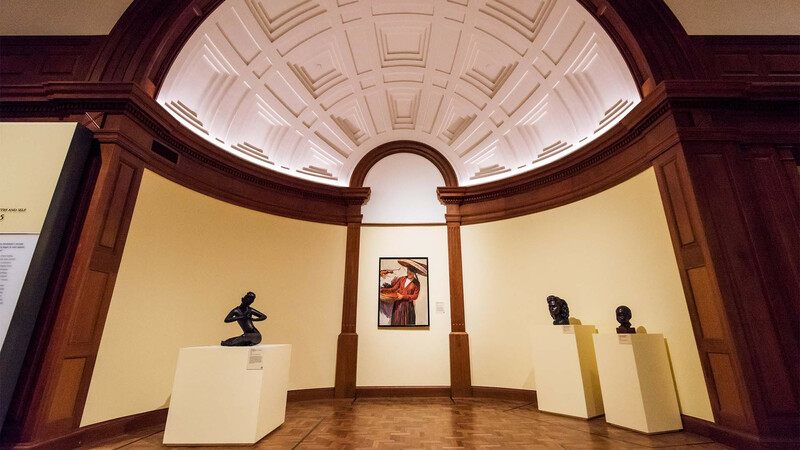 Housed in the former Supreme Court building by the marina, the bright, light art gallery contains the world’s largest collection of Singaporean and Southeast Asian art. What’s more, there’s a sleek rooftop bar at the top with a panorama over the marina and the skyscrapers of Singapore’s financial heart. 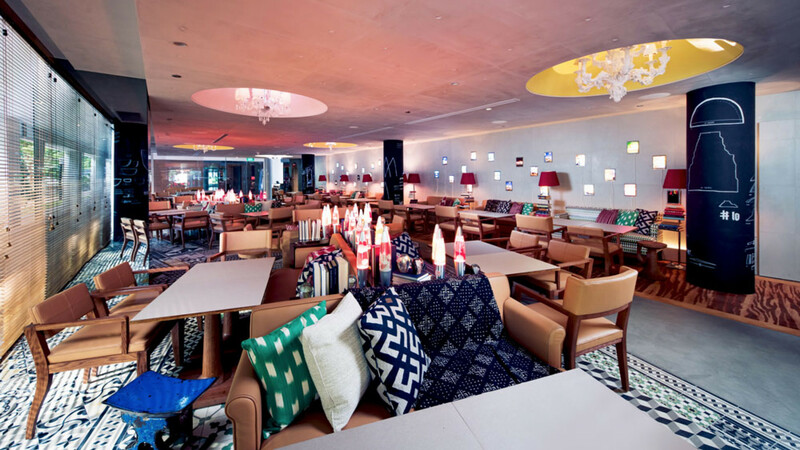 Designer Philippe Starck has struck gold once again with M Social, a compact, trendy-functional boutique property in Robertson Quay. 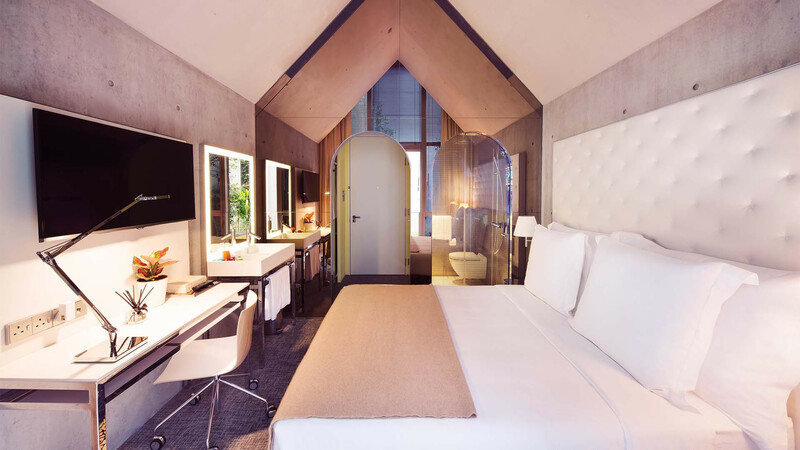 The hotel, part of Millennium Hotels and Resorts, opened last summer [June 2016] and is a fine example of the new micro-luxe trend that until now was a stranger to a city of superlatives like Singapore. 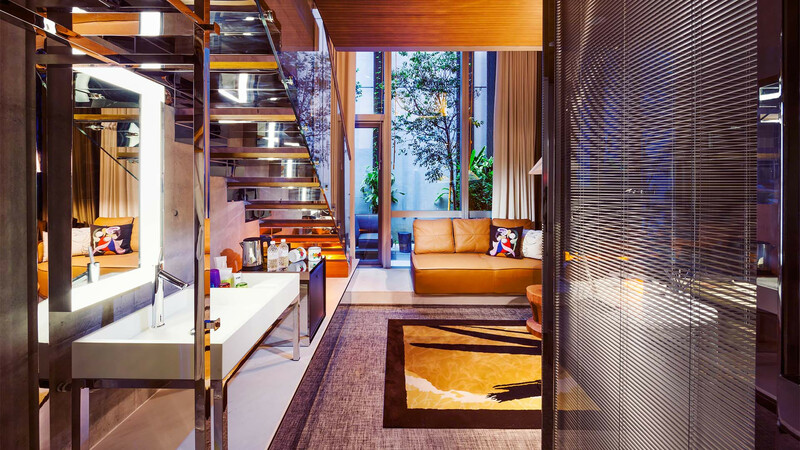 Rooms are styled as ergonomic lofts, with mezzanine-level beds above a snug, modern living area – but you won’t be spending much time in your room. 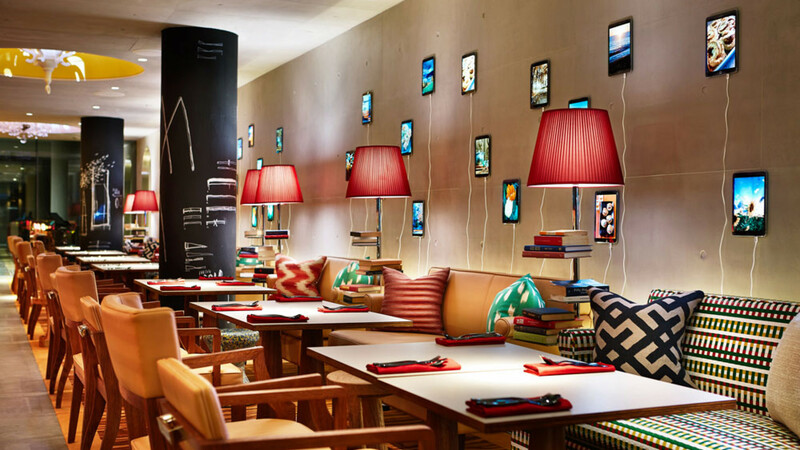 You’ll want to be in the hip Beast & Butterflies bar and restaurant downstairs, decorated with wall-mounted tablets showing sliding images of Venice and cosy sofas and throws. The communal tables are designed to get you talking – which is probably why you’re here, right? 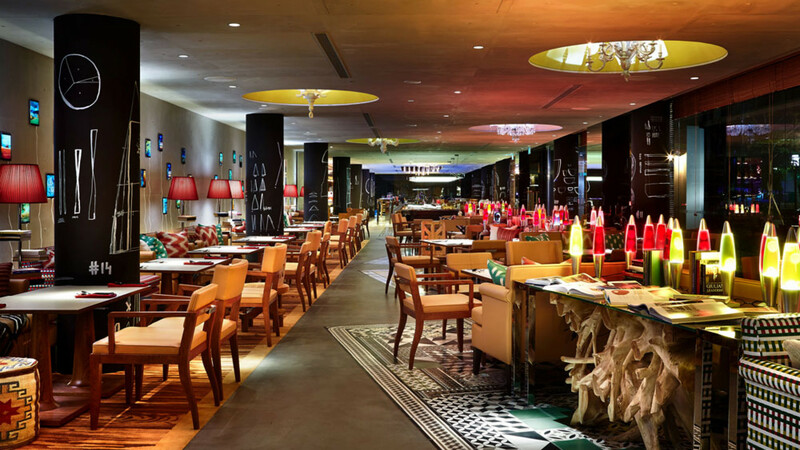 Raffles isn’t so much a hotel as Singapore’s destination restaurant, bar and afternoon tea spot. Leave the Long Bar (where the famous Singapore Sling was invented over a century ago and which continues to draw tourists, if only to throw monkey nut shells on the floor) for the Bar and Billiard Room, which is like stepping back in time to Victorian England. The signature gin and tonics here are a must before dinner in the Indian-styled Tiffin Room next door, which serves an excellent North Indian buffet every night in twinkly, colonial surroundings. The desserts deserve a special mention: leave room for the sticky gulab jamun. Singapore’s go-to dish is chilli crab: a messy bath-sized bowl of chilli and coriander-soaked crab that comes with necessary bibs and some heavy duty tools to boot. 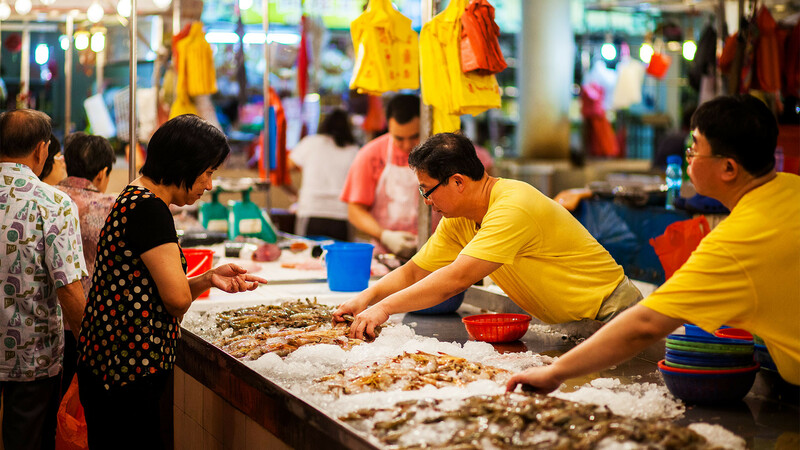 There’s a handful of outlets all over town, including Clarke Quay and the original in the East Coast Seafood Centre. 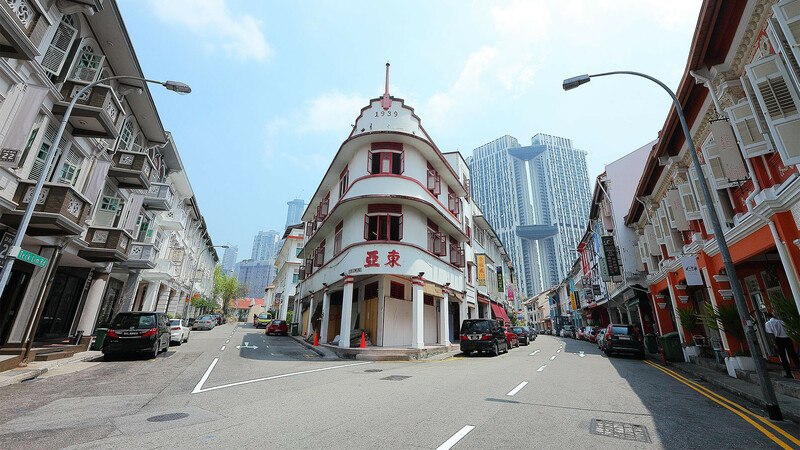 Lazily described as Singapore’s Shoreditch (including by this writer – sorry), Keong Saik Road is a slim slice of land in Singapore’s Chinatown feted as the coolest spot in town. 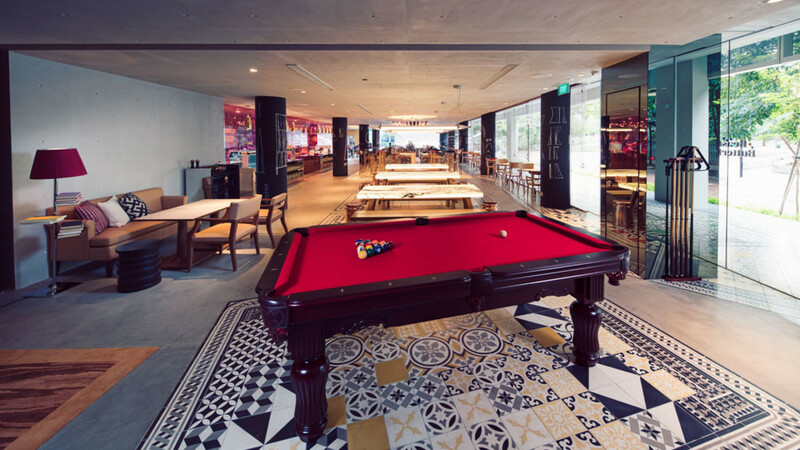 It’s here that you’ll find the Singapore outpost of Bali beach club Potato Head, one of the world’s (official) best bars 28 HongKong Street and quite possibly a pop-up electronic DJ and parkour party that take place over random weekends. Ce La Vi doesn’t really need extra publicity: it’s already the subject of 2,372,839 Instagram shots (we’re guessing). Unfortunately, it deserves at least a little bit of the hype. Views from the sky deck of the ironing board-shaped Marina Bay Sands span pretty much the entirety of Singapore (plus the next-door hotel infinity pool) and the in-res DJ captures the dizzy mood pretty well. Come for one drink, empty your wallet and then head for a cheaper sip elsewhere – which Beast & Butterflies at M Social (above), in the up-and-coming and almost bucolic Roberston Quay, manages much better.